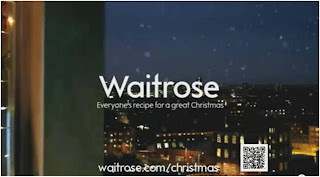 Falling asleep last night in front of "I'm a nonentity" on the TV last night, a Waitrose ad caught my attention. During the last few seconds of the ad with the logo and the strapline there was a 2D barcode, I think it was a QR code, bottom right of the screen. Getting quite excited I asked my wife if she had seen the barcode on the screen, which was quite amusing as I had to then try and explain it in other terms such as "did you see the box with the squiggles in it" etc.. Still no joy. This intrigued me even more. Great idea, but is it going to work ? Will the target demographic know what it is and what they should do about it? In this case probably not. Even if they know what it is do they have the wherewithall to do something about it? i.e. have a barcode reader on their phone, know that it is on their phone or download one in order to use it ? Probably not. Was there enough time to get your phone out, turn on the camera, go to the TV, line it up (it's got to be big enough to fill the phone screen to get a reading) and take the picture ? Probably not. Let's face it, it's Sunday night we are all probably having a nice snooze after a big fat roast, reaction time isn't going to be at it's best. Even if we are sharp as a button achieving all that in 3-5 seconds is probably asking a little too much (the Waitrose one was on for 3 seconds). I think 2D barcodes are pretty useful, use on posters and in magazines can work if you sign post their usage effectively, but on a TV ad ? mmmmm.... needs some work. I am sure there is a way but there are some significant barriers. Assuming the QR Code contained a URL which would take your phone to a landing page or an app download, I wonder what Waitrose's web analytics are saying this morning. I hope it worked as this was pretty interesting for me as a response measure. Perhaps it is something that will come with time. Or was I missing the purpose of it? Update 3/12: I was just checking to see if Google had indexed this blog and came across some stories e.g. 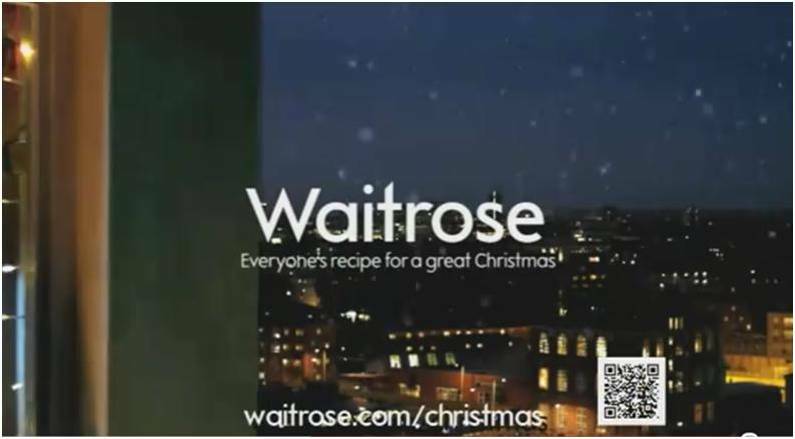 http://www.gomonews.com/waitrose-claims-uk-first-with-tv-qr-code/ . It's the triumphant tones ("claims UK first") that amuse me. Having found the ad on Youtube I thought I would have a go at scanning, while timing myself. Using QR Code as the app, it took me 11 seconds to load the app and zoom in enough for it to capture the code. I even tried it on a larger version (as displayed) and it still takes above 7 seconds and that's with my iphone on the right app page so I could click it quickly. leap out of your chair, get your phone, load the scanner app, zoom in enough to capture it correctly (and it you use an app that is not constantly scanning i.e. uses the camera you could miss) all in 3 seconds!